Do you want to track your goals? Then try using Questlii. 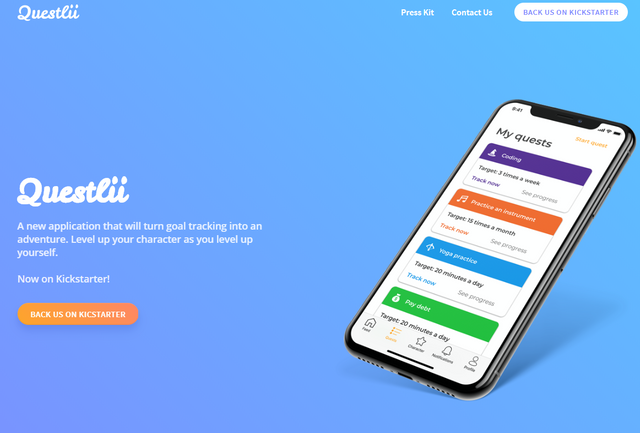 Questlii is a new application that will convert your goals into a game adventure. As you tackle your goals, your character will grow, helping you visualize just how much work you have put in. Each day, you do the things that you want to achieve, then you record them in the app. For each goal you track, you will receive experience, coins, and status points. Once you get enough experience, your character will level up. Use the coins you earned to buy new gear and style items to customize your character. Level up your character as you level up yourself. !